Traffic patterns updated in game, ironically. As of now you can claim your free game from EA if you had purchased SimCity and activated it via Origin. This is in response to the many, many server and gameplay issues the game has had since launch. Co-Op wise you can snag Battlefield 3, Dead Space 3 or Mass Effect 3. To be eligible for the free game you'll need to have activated your copy of SimCity on Origin by March 25th and redeemed your free game by March 30th. To claim the game simply let the Origin client update itself and the next time it starts up you should have a popup mentioning something about - "We messed up" and claim your free game. 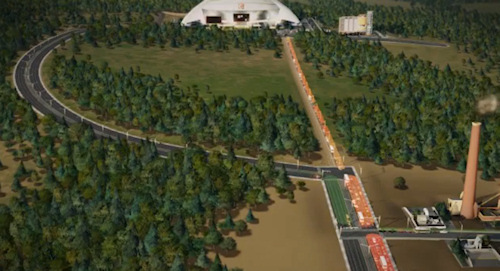 In other SimCity news - patch 1.7 is out for the game which brings numerous improvements including better traffic AI. The traffic AI was quickly exploited after launch to show that the Sims always take the shortest route to a destination - not necessarily the best route. Finally Origin is having a spring sale with numerous titles discounted up to 80% off. Check out the full list here.